Lai kuan lin sold out the front seats in three minutes after the opening of the first solo fan meeting, "Good Feeling." Lai kuan lin's first solo fan meeting in Korea hit a sell-off just in three minutes after the ticket opening. With Lai kuan lin holding his first solo fan meeting in Korea on April 6 at Olympic Hall in Olympic Park, tickets opened on the 18th through an inter park ticket sold out in three minutes, realizing the hot popularity of Lai kuan rin. The fan meeting, which is held to reward fans for their great love and interest, is expected to be a time to communicate more closely with fans through the colorful stage of Lai kuan lin, which has not been seen before. Lai Kuan lin is scheduled to hold fan meeting tours in five Asian regions starting in Seoul on April 6, Bangkok on April 30, Singapore on April 30, Taipei on 4 and Hong Kong on 11, and the number of fan meeting venues is expected to increase. 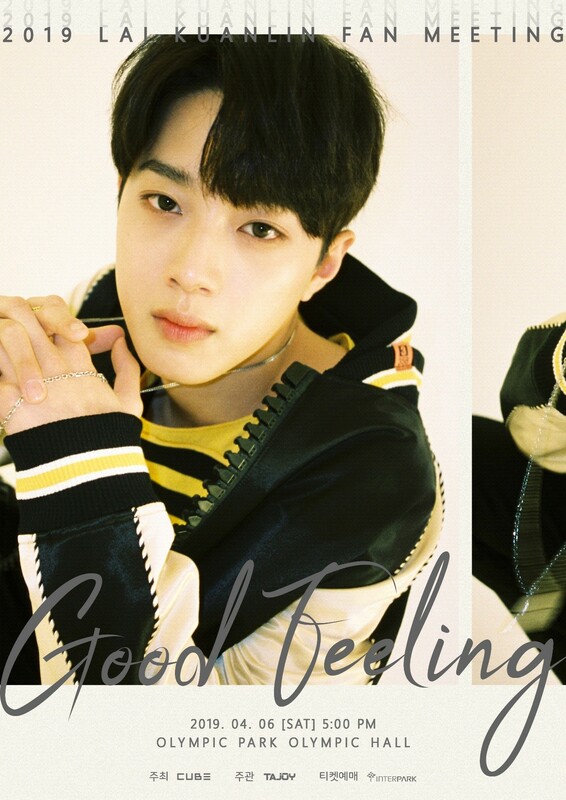 Lai kuan lin's first solo fan meeting in Korea, "2019 LAI KUAN LIN Fan Meeting [Good Feeling], will be held at Olympic Hall in Olympic Park on April 6 at 5 p.m.